World War II, like every other war which has ever been fought, was in large part a battle of the logisticians. Other factors being equal, the side usually wins which is able to get there first with the most men and material. When the United States became involved in the titanic world struggle, the odds were heavily stacked against her from the standpoint of logistics. Not only did Germany have control of the resources and communications of western Europe, her armies were also advancing deeply into Russia and were threatening to spread through large parts of Africa. There was, in fact, a grave danger that a union between Japanese and German forces might take place somewhere in Asia and that Europe, Asia, and Africa might pass under the effective control of the Axis before the resources of the Americas and of the British Empire could be thrown against the victorious invaders. Never has the United States faced such a threat to her national existence. Never had this country faced so many well nigh insuperable problems at one time. Given such a crucial situation, the problem of moving vast numbers of men and vast supplies of material across submarine infested waters and against land based aircraft became as difficult as the problem of training men and producing the weapons of war. Upon the success or failure of our efforts to move men and goods across the oceans hinged the destiny of the nation. The Chairman of the Maritime Commission has said that the merchant marine did not win the war, but that without merchant shipping the Allies would have lost. WWII shipbuilding activities were an unprecedented integration of private industry and government, with the US Navy and the US Maritime Commission being the only customers. Navy shipyards contracted for military vessels, to be built mostly in pre-existing shipyards in the east. The Maritime Commission contracted for merchant vessels. The Maritime Commission yards, including many new yards on the West Coast, also built merchant ships modified for military needs that were delivered to the Army or Navy. American merchant shipbuilding had come almost to a halt by the mid-1930s. Ninety percent of the merchant fleet was more than 20 years old and slow (10-11 knots). In the nearly 20 years following the end of the World War I, America's merchant fleet, including its cargo and passenger ships, was becoming obsolete and declining in numbers. A shipbuilding program began with the passage of the Merchant Marine Act of 1936. However, World War II provided the impetus to intensify those efforts eventually leading to a ship-building program that produced 5,500 vessels. Among them were 2,710 mass-produced ships known as Liberty ships. 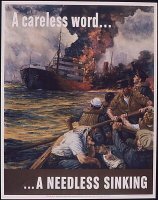 In 1936, Congress passed the Merchant Marine Act, creating the U.S. Maritime Commission to oversee "... that the United States shall have a merchant marine.to provide shipping service essential for maintaining the flow of such domestic and foreign waterborne commerce at all times, capable of serving as a naval and military auxiliary in time of war or national emergency, owned and operated under the United States flag., composed of the best-equipped, safest, and most suitable types of vessels., and supplemented by efficient facilities for shipbuilding and ship repair." The fleet of ships responsible for this mission is called the U.S. Merchant Marine. The US Maritime Commission was created to modernize the merchant marine by subsidizing private shipbuilding enterprise. It assumed an active operating role under the powerful leadership of Admiral Land, drawing up plans for ships, negotiating bids and awarding contracts. The Maritime Commission operated under the approval of the President, rather than Congress. As a close friend of President Roosevelt, Admiral Land's power as Maritime Commission Chair became even more enhanced. At the time the act was passed, the majority of the ships in the merchant fleet were over 20 years old. The original plan was to build 50 ships per year for 10 years. The heart of the Maritime Commission in production of ships was the Technical Division, headed by Admiral Vickery, in charge of all matters related to construction. Pre-war construction accomplishments from 1938-40 in shipyards, in designs, and in forming a trained staff laid the foundation for the monumental work achieved between 1941-45. Standard dry-cargo carriers, called "C-types," designed before the war for long-range merchant marine use, continued to be the ideal. Large and fast, most were powered with turbine engines combining speed and economy. Even under wartime pressure the Maritime Commission's pre-war goal of building 500 C-type vessels in ten years was exceeded by 1946. All the Maritime Commission contract ships embodied many improvements. The use of turbine and diesel engines improved propulsion. Fire concerns were addressed through the use of non-combustible materials, metal furniture, and insulation of bulkheads and decks to partition the ship. Navigation aids and life-saving equipment was updated. Morale of the crews was improved by providing accommodations amidship instead of in the forecastle, better mess rooms, hot and cold running water and improved ventilation. Rat proofing raised health and comfort standards. Cargo handling was improved with systems of king posts and booms worked by electric winches. Welding replaced riveting, reducing the weight of the hull and increasing deadweight carrying capacity. Commission policy also emphasized standardization and application of mass production methods. Design of the C-types incorporated the suggestions of operating companies and trade associations to produce a standard ship adapted to a variety of needs. As many components and items of equipment as possible were the same. Thus, as in automobile production, parts could be manufactured at central points for assembly elsewhere. All shipyards would not have to produce all parts, yielding less overhead and lower costs. Contracts were awarded for groups of identical ships, simplifying preparation of work plans, ordering of materials and control of construction. World War II began in September 1939, when Hitler's Germany invaded Poland. The United States realized that the existing construction program was not adequate to meet the changing world situation. During World War II the Merchant Marine was nationalized, that is, the U.S. government controlled the cargo and the destinations, contracted with private companies to operate the ships, and put guns and Navy personnel (Armed Guard) on board. The government trained civilian men to operate the ships and assist in manning the guns through the U.S. Maritime Service. 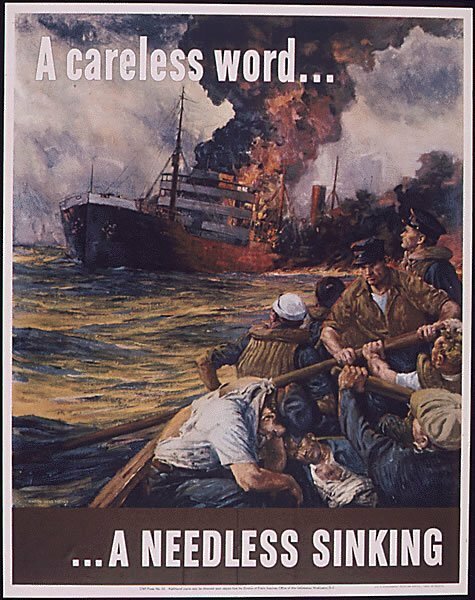 With Hitler's attack on Great Britain in 1940, the need for the United States to increase ship production became critical. The British could no longer produce ships in great numbers and also needed food and supplies. The United States knew that if Great Britain fell it would have no allies in Western Europe. Under the Lend-Lease program (which enabled the president to transfer arms and equipment to any nation deemed vital to the defense of the United States), the U.S. agreed to build commercial ships for Great Britain. The lessons learned from the First War were not forgotten by the British Admiralty, nor by the Germans. The development of military aircraft since the Great War would necessitate different tactics and armament, of course, but the converted merchantman was expected to serve roughly the same purposes, in a future war, as it had in the previous one. In the event, Germany in World War II sent into the world's oceans nine converted cargo vessels as surface raiders, about one-third of the number planned, and the Royal Navy made no fewer that fifty liners into merchant cruisers. For its part, the Canadian Government converted three. To meet any future requirements involving armed merchant cruisers or surface raiders, the Admiralty had listed the ships most suitable for conversion and had made arrangements with their owners whereby they would be turned over to the naval authorities on the outbreak of war. 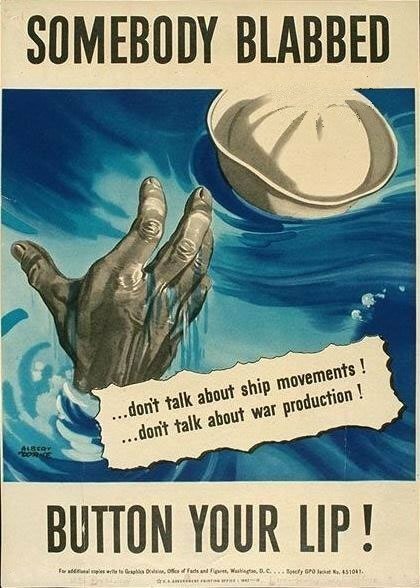 The Joint Army-Navy War Plans of 1941 assigned the Navy the responsibility for sea transportation in the event of war. Specifically WPI-46 of May 1941 tasked the Navy to "provide sea transportation for the initial movement and continued support of Army and Navy forces overseas. Man and operate the Army Transport Service." This tasking was unfortunately based upon the experience of World War I where a one-theater war was waged and the British merchant marine was the primary shipping resource for the allies. The requirements for World War II shipping would be vastly different. By December 1941, it was discovered that the Navy was ill-prepared for this transportation role. The transport ships owned by the Navy were largely assigned to fleet support, and the Navy did not have available personnel to man the Army Transport Service ships. The lack of any centralized control led to the establishment of the War Shipping Administration in February 1942, which placed control of all US merchant shipping under a single authority. In the early years of World War II, German submarines, also known as U-Boats, threatened ships traveling across the Atlantic Ocean. Many cargo ships were sunk by the U-Boats. The United States and the Allies developed many ways to protect ships carrying supplies to Great Britain and the Soviet Union. Some of the many innovations that came out of World War II to locate submarines include radar, sonar, and high frequency direction finding. Because ships traveling alone were almost certain targets for submarines, the U.S. and her Allies grouped the ships together in huge convoys. The Navy and Coast Guard escorted the convoys with destroyers. Unlike modern submarines, which can stay submerged for months at a time, the submarines in World War II spent most of their time on the surface and submerged only when attacking ships or evading detection. In areas that were close to land, airplanes were used to scout for submarines. Many of these scouting planes also carried bombs so they could attack detected enemy submarines. When the United States entered World War II at the end of 1941, it had the beginnings of a great merchant fleet. But the lethal U-Boats, submarines of the German Navy, prowled the shipping lanes hunting American merchant ships. The Liberty ships proved to be too slow and too small to carry the tons of supplies the United States and her Allies would need to win the war. In 1943, the United States began a new ship-building program. These new ships would be faster, larger, and able to carry cargo long after the war was finished. These were the Victory ships. These programs were to be a cornerstone in President Roosevelt's "great bridge of ships." During the world war, the Transportation Corps transported 7,290,000 passengers, of which 94% were Army personnel, to overseas destinations. And it shipped 126,787,875 tons of cargo to some 330 destinations worldwide in 5,280 ocean-going vessels. The Liberty and Victory ships were adapted to suit the operational needs of each branch of the military service. Many carried cargo, while others were fitted out as troop carriers. Some were used as tankers carrying fuel for ships, vehicles and aircraft. Still others were fitted out as hospital ships or used to transport enemy prisoners of war. Ultimately, both the Liberty ships and Victory ships served with distinction in both the Atlantic and Pacific Oceans during World War II. The Liberty ships and Victory ships were built in order to move troops and supplies during World War II. They were built in great numbers to counter the threat from submarines and to ensure that the flow of men and material was unhindered. The Liberty ships and Victory ships carried many different types of important supplies in support of the war including food, fuel, vehicles, ammunition, and spare parts. Much credit for the prodigious output of American shipyards during World War II has been given to the assembly line, the notion that ships were built like automobiles. But the analogy is not accurate. Most large-scale shipbuilding did not employ the assembly line as it relates to automobile manufacture. With cars, the chassis was pulled slowly along the line as parts were attached to the chassis until the finished product rolled off the end of the line. Ship hulls, however, were too big and heavy to drag along an assembly line. Instead a steady stream of component parts--pre-assemblies--were brought to the hull and lifted by large shipyard cranes onto the hull. In some cases small vessels, such as landing craft, were assembled much like automobiles. Each yard employed a variety of time and labor-saving methods, whatever it took to speed up the process without jeopardizing the end product. Greatly speeding the shipbuilding process was the widespread use of pre-assemblies, such as deck houses and engines. The technique had been used in World War I, but not nearly as extensively. As the war progressed, the pre-assemblies grew larger and more complete, right down to the doorknobs on cabin doors and cooking utensils in the galleys. Installation of the miles of piping and wiring that go into a large vessel was made far easier by the pre-assembly process. While most parts were pre-assembled in the shipyards, some complex assemblies were made miles from the yard and shipped by rail. Anchor-winch assemblies, for example, might come from as far away as New York. By using simple designs, perfecting mass-production techniques and building the necessary shipyards, the U.S. was able to produce the massive fleet of merchant ships needed to win World War II. However, there were not enough workers for all the new shipyards. Many men who could have built ships were serving in the armed forces. As a result of this labor shortage, many factories and shipyards hired women, minorities, and men unable to go to war to work on the assembly lines and in the shipyards to manufacture the products needed to prosecute the war. The women were given the nickname "Rosie the Riveter" after a worker in a popular song. A sidelight to the transition from rivets to welds in shipbuilding was "Rosie the Riveter," a public relations creation that has, over the years, become synonymous with the home front effort during World War II. Rosie illustrated how women pitched in willingly to the war effort, and proved their competency at doing a "man's" job. 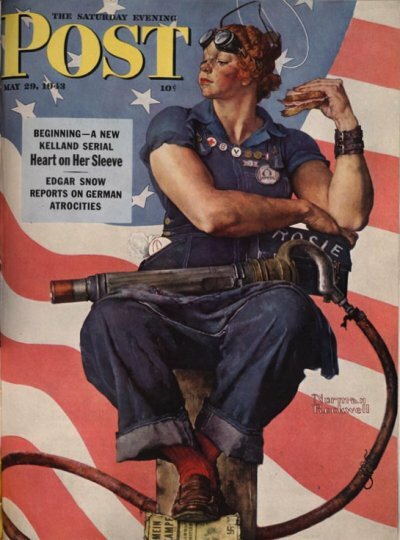 Rosie, however, as illustrated by Norman Rockwell and others, was an aircraft riveter, not a ship riveter. Women workers in aircraft production plants handled all phases of fabrication and assembly, but it was the image of a woman punching small alloy rivets into aluminum aircraft skin that caught the public fancy. In addition to the thousands of women welders in the shipbuilding program, thousands of other women workers participated in almost every facet of shipbuilding. 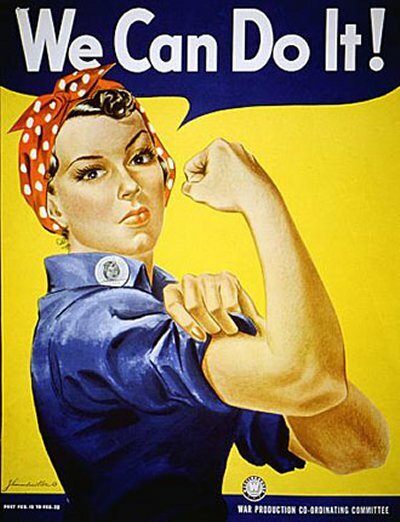 When the United States entered the Second World War, "Rosie the Riveter" became the symbol for women workers in the American defense industries. The diversion of men from the labor pool into the military, as well as the increased production needed to support the war effort, prompted the federal War Manpower Commission and the Office of War Information to undertake a nationwide campaign to recruit women into the labor force. Shipyards invented a parallel to Rosie the Riveter called Wendy the Welder, but she never received the icon status of Rosie. Nonetheless, the essential contribution by women welders during World War II has been recognized. From 1940 to 1945, the number of female workers rose by 50 percent, from 12 million to 18 million. In 1940, women constituted 8 percent of total workers employed in the production of durable goods. By 1945, this number increased to 25 percent. During the war years, women became streetcar conductors, taxicab drivers, business managers, commercial airline checkers, aerodynamic engineers, and railroad workers. Women operated machinery, streetcars, buses, cranes, and tractors. They unloaded freight, built dirigibles and gliders, worked in lumber mills and steel mills, and made munitions. In essence, women occupied almost every aspect of industry. As useful as pre-assembly was in cutting production time, the real key to accelerated shipbuilding, however, was welding. Ships in World War I took longer to build than in World War II primarily because their hulls were riveted rather than welded. Welding had been introduced in American ships prior to 1918, although none had an entirely welded hull. Riveted ships were strong and durable. But riveted hulls had drawbacks. Chief among these was the time needed to align steel plates and drill holes for rivets, and to set and drive home the rivets. To place each rivet (150,000 for a typical hull) took two workers, one on either side of the plates being fastened. But to reach that point required the efforts of at least two other workers. A "driller" had to position each hole in the proper place and drill through the one-inch-thick hull plate. After the plates were aligned on the frames they seldom matched the pre-drilled holes precisely, so a "reamer" had to enlarge the holes to eliminate overlap and allow the rivet to fit. The combined weight of rivets needed to fasten hull and deck plates could add more than 300 tons to a ship's hull and subtract that weight from the vessel's payload. Strong as they were, rivets could pop loose under stress or when hull plates were damaged. Unless the exterior heads of the rivets were flush with the hull, they added drag that could slow the ship at sea. The advantages of arc welding -- low cost compared to riveting, speed of application and strength -- were apparent. One worker could do the work of two. Properly welded joints and seams were as strong or stronger than the surrounding steel. In spite of these advantages, however, welding was slow to supplant riveting. Not until World War II created demand for rapid ship construction did welding replace riveting as the principal means of joining steel. Automatic seam-welding machines and new alloys and welding methods added even greater speed to the process but also revealed some disadvantages. Welded steel plates tended to buckle and warp more than riveted ones. Uneven heating could result in stress fractures. Use of improperly sized electrodes could produce weak joints. Stories of welded ships breaking apart in heavy seas, or of welded joints failing under even mild stress, were partly justified. A skilled welder can make a good solid seam almost anywhere, horizontal, vertical, overhead, angled. A novice welder, as many of the new shipyard workers were, had neither the skill or experience to match an old hand. Welding seams on flat deck plates with gravity helping the flow was simple enough but overhead welding was much more difficult. One solution was to position seams so that the welder could work in a "down-hand" position, that is, with the electrodes held at waist level or below to avoid fatigue. That often meant bringing the work piece to the worker. Large vertical parts to be welded were turned horizontal. Ceilings and overhead structures were welded inverted then reversed when completed. Scaffolding was built to place the welders in optimum position. Welding became the basic glue of steel shipbuilding, allowing for fabrication of almost any shape in any size. Without high-speed welding, much of the innovative methods applied to World War II shipbuilding would not have been possible. The shortage of trained workers in the shipyards translated into an even more critical problem; rapid training of new workers. All experienced workers in the Bay Area already were fully employed when America entered the war. Tens of thousands of unskilled men and women were recruited to meet demands of new emergency shipyards. Years of training and experience necessary to make a journeyman shipyard worker could not be condensed into a matter of days or weeks, yet the war would wait for no one. The solution was to break the complex job of building a ship into the smallest possible components, train workers to do that specific task and let them gain experience through repetition. Trade unions objected strenuously to this practice, giving rise to deep conflicts between unions and shipyard management that remained unresolved throughout the war. Large and small classrooms sprang up in Bay Area shipyards where welding and other crafts were taught. Galling as this situation was to professional shipbuilders, there was no suitable alternative. When the war began the United States had only about 1,340 cargo ships and tankers. When the war ended the fleet of merchant ships controlled by the War Shipping Administration numbered 4,221 with a deadweight tonnage of 44,940,000 tons. Up to VJ day 733 merchant ships of over 1000 gross tons were lost, according to figures of the Maritime Commission. The Navy armed 6,236 to the end of World War II. Of this number 4,870 were United States flag ships; 244 were United States owned but under foreign flag; the rest were foreign owned and foreign flag ships. Armed Guards were placed aboard nearly all of the 5,114 United States owned and United States flag ships. This vast fleet of merchant ships carried the materials needed for victory to all parts of the world. Between December 7, 1941 and the surrender of Japan 268,252,000 long tons of cargo left United States ports. About three fourths of this cargo was carried in ships controlled by the War Shipping Administration. Imports during the war ran to 70,652,000 tons of dry cargo and 35,118,000 tons brought back in tankers. A large part of this cargo was brought in on ships defended by Armed Guards. From the outbreak of war to November 30, 1945 over seven million Army personnel and more than one hundred and forty-one thousand civilians were transported overseas. Many were carried in Army and Navy transports. Many were carried in merchant ships. As the years went by, age took its toll on the Liberty and Victory ships. Many ships became too expensive to operate; insurance companies did not want to cover these old merchant ships. In most cases, they were sold for scrap. The reserve fleet was also being sold for scrap. What was once a proud fleet was now down to a precious few vessels. Some historic preservation and veterans organizations became interested in these ships and a handful were saved from the ship breakers.